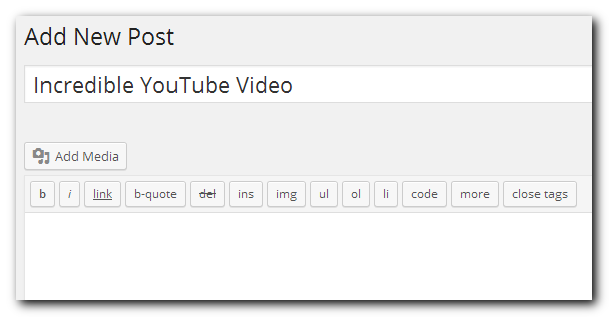 To show videos on your Wordpress site, you can copy and paste the address for the video into your post. But while working with a client this past Wednesday, we discovered a problem. If the video is part of a YouTube playlist, Wordpress shows the playlist instead of the individual video. The solution is to copy and paste only the address for the video, without the playlist, but YouTube doesn’t make that easy. To do it manually, you need to copy the text in blue. You want everything up to but not including the & symbol (called an ampersand). And there are some addresses that have the v=blahblah farther on in the address. In short, it’s a nuisance to have to do this. To make it easier for you, I wrote a bookmarklet or utility bookmark that gets the URL for you. 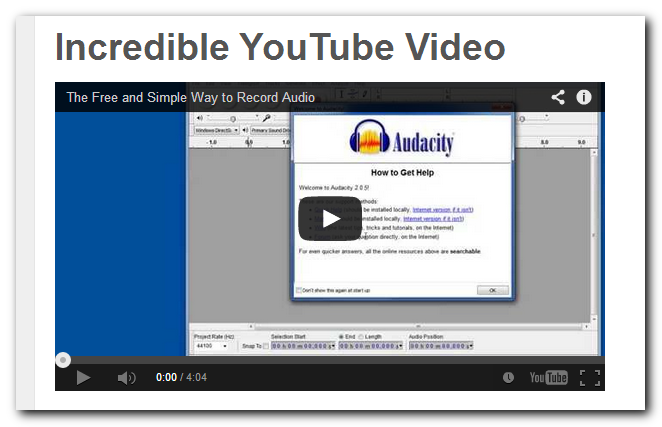 This will work on any YouTube video, whether it is part of a playlist or not. Before you can use the bookmarklet, you have to drag it to your bookmarks toolbar. You can see me installing it above. Here is the bookmarklet to drag to your bookmarks toolbar. Note: You may need to show the bookmarks toolbar first. 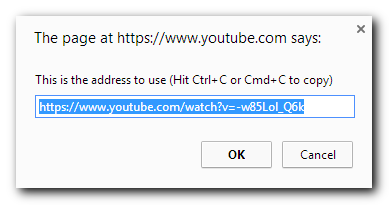 If you’re using Chrome or Internet Explorer, Ctrl+Shift+B will do it. If you’re using Firefox, follow these instructions. To add a video to your Wordpress site, create a new post or page in Wordpress. Next, go to the YouTube video you want to add and click the YouTube Link bookmarklet. This will show the dialog above. Hit Ctrl+C to copy the address (or right-click and choose Copy), then click the OK button. Return to Wordpress and hit Ctrl+V (or right-click and select Paste). That’s it. Your YouTube video is now shown on the page.